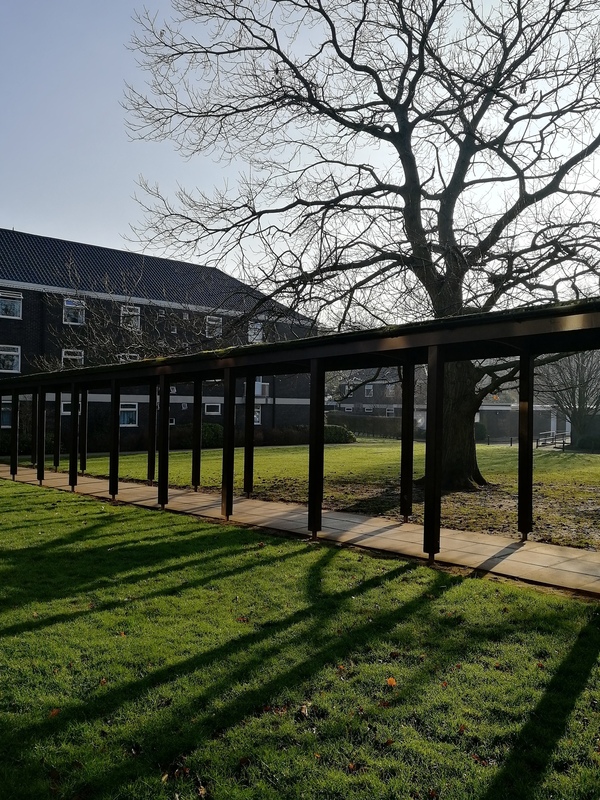 Such video-link conversations have become a regular event due to the Tandem-Nottingham project run collaboratively by our lecturers Vladislav Alpatov & Irina Tverdokhlebova, and are always held in the atmosphere of great interest from students on both sides. 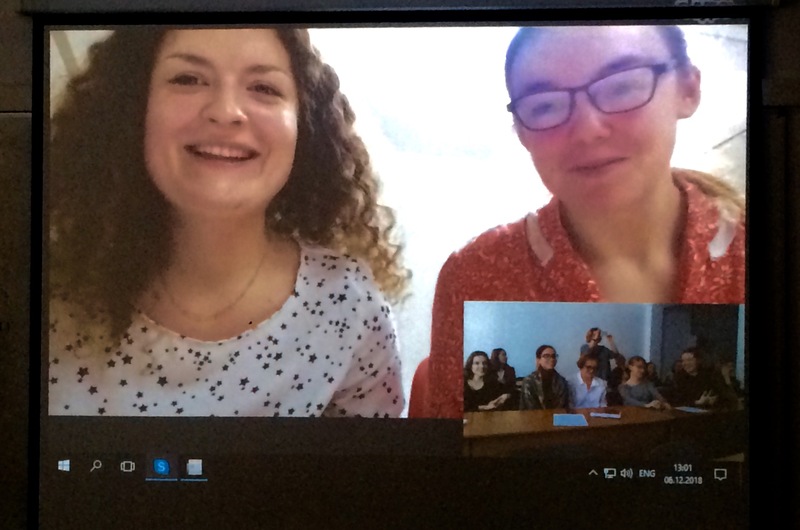 Today’s skype session was in a way special because of the relevance and importance of the topics for all the students who attended the event. Besides, it was a big attraction to meet Anastasya Nikolaeva, who is currently on her study trip to Nottingham. 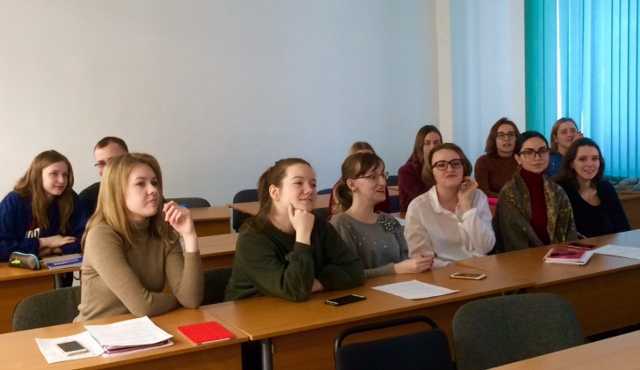 In preparation for the link Nastya conducted a field survey, finding out facts and figures about career opportunities for Nottingham university fourth year BA students. The conversation left much to think of for everyone. Today’s video-link communication was an excellent example of how important it is to communicate with people on an international level because this is the best way to widen students’ knowledge as well as to enjoy such useful experience as talking shop to native-speaking peers.